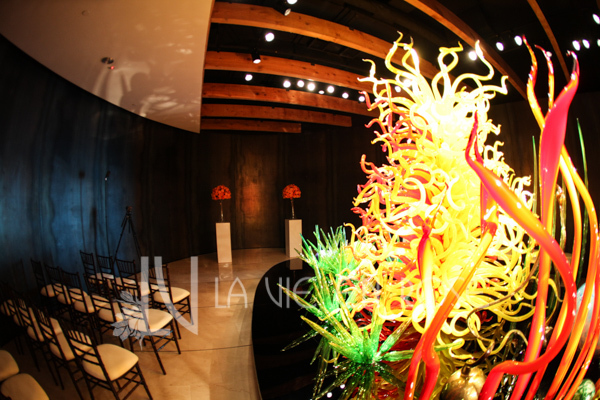 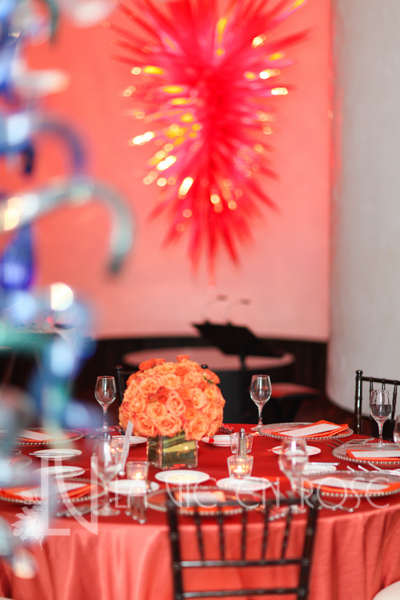 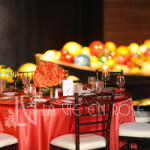 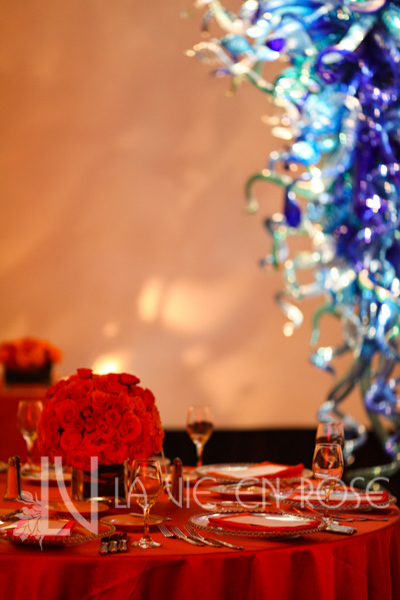 Valerie and Rick’s Wedding at the Chihuly Museum in St. Petersburg, Florida was an exciting mix of florals and art! 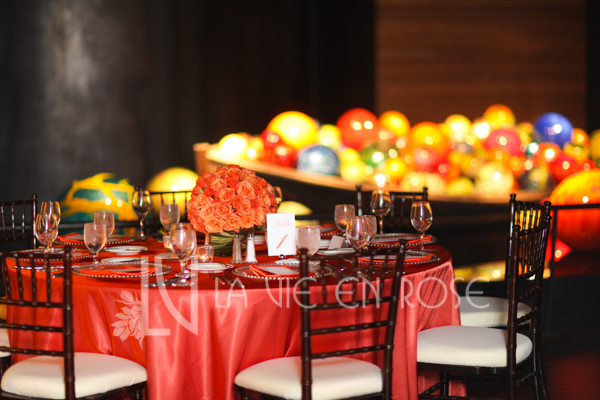 The exquisite pieces played a major part in the decor and overall feel; while simple, monochromatic arrangements complimented their surroundings. 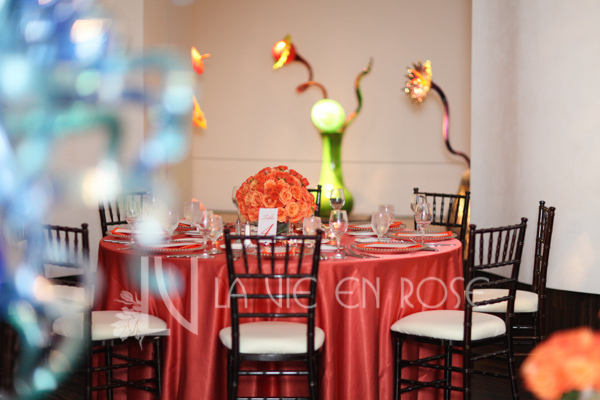 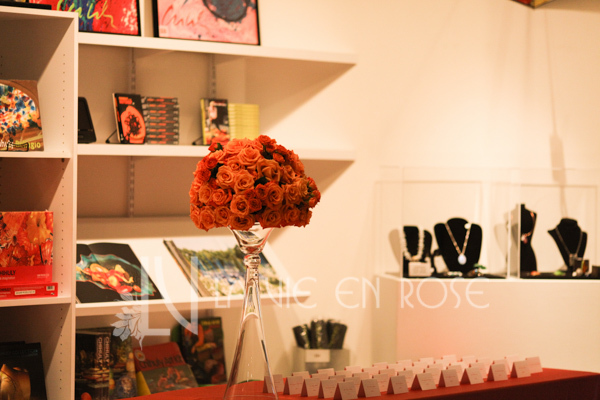 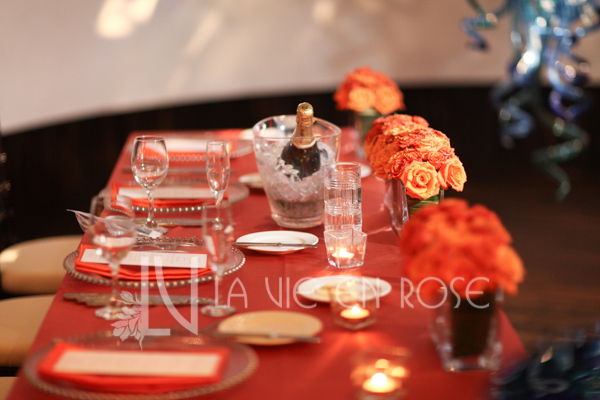 We provided the linens, glass beaded chargers, florals, and chairs.